Heide Clark is a certified Childbirth educator and has dedicated the last 35 years of her life to integrating the mental, physical, and spiritual healing of others. She feels passionate about conscious health awareness since her husband’s death from testicular cancer in 1983. She presently working as a consultant, educator and labor & delivery nurse. She served as chair of the OB Leadership council at Sharp Chula Vista Hospital. She completed her training for Pain Resource nursing as well as serving on the complimentary medicine committee for COPE (Compassionate Pain Relief Program) at Sharp Memorial Hospital. She received her training in Mind/Body Medicine through Infinite Possibilities, Inc. She was an active participant in the development of the Magical Beginnings Enchanted Lives Program with Dr. Deepak Chopra and David Simon. Currently, she serves on CCN’s Medical Advisory Board. 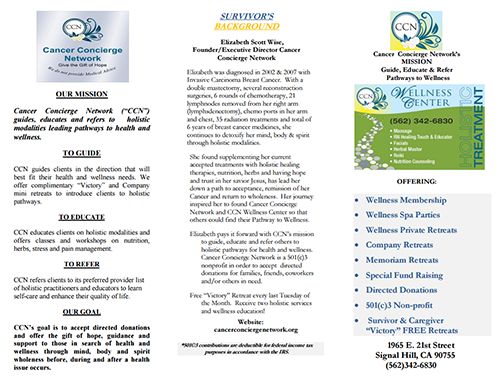 Heide is a Preferred Provider who donates and offers services of Healing Touch and Nurse Advocate at CCN Wellness Center. Dr. Leyla grew up in a household where her father was a medical doctor and a surgeon, and her mother a surgical technician. The world of doctors and drugs was all she was familiar with. After graduating from pharmacy school, Dr. Leyla was disappointed that she did not learn the basics of health. She did not learn about prevention, nutrition, or natural ways to deal with health conditions. Instead, her pharmacy school education taught the drugs as a solution to all health problems. Now, after working as a pharmacist for over 17 years, and working in pharmacies for over 25 years, Dr. Leyla has had a chance to see how patients’ become long-term customers of the pharmaceutical industry, as their health slowly deteriorates. Dr. Leyla has spent the last several years learning about holistic and natural alternatives to health conditions and diseases where drugs fall short. Dr. Leyla has made it her mission to help people understand limitations of doctors and drugs, and to spread the word there are more effective, safer, and less costly alternatives for many of the chronic health conditions that patients struggle with for years.